Once you have done your research and decided that sugar gliders are the right pet for you, you will need to figure out the best place get them. Being a responsible sugar glider owner begins with choosing the right place to get them. There are a lot of places that sell sugar gliders that should really be avoided, so it is important to know how to tell the good places from the bad. This could mean the difference between getting a healthy sugar glider from the start or getting a glider that has not been properly cared for. I will talk about the best places to get sugar gliders first, and then I will go over the kinds of places you should stay away from. The best place to start is to look for a good breeder in your area. Finding your gliders locally will make the process a lot easier, because you will be able to visit the breeding facilities to make sure they are treating the gliders properly. You also want to make sure they are kept in a clean environment. You can also ask the breeder questions and make sure they know their stuff. Another reason you would want to get your gliders locally is that you would be able to get support from the breeder if you have any problems after your bring your gliders home. The breeder would be the best person to help you with any issues that arise because they already know the gliders and are familiar with their background. Although it is possible to get your gliders shipped to you from a breeder that is not local, traveling can be pretty stressful for sugar gliders and should be avoided when possible. There are good breeders who can ship them to you, and if done right, it shouldn’t be a problem. You just want to make sure the breeder knows what they are doing and can ship them properly. Another great option is to get your gliders from a local rescue facility. There are tons of abondoned gliders in need of good forever homes. If there is a glider rescue in your area, you should definitely check with them to see if they have any gliders who need homes. Unfortunately, there are also many sellers that you would be better off avoiding. 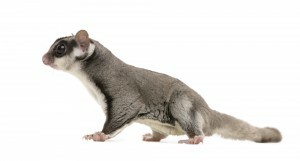 Sugar gliders have become more popular in recent years and it has become profitable for mills to breed them in large quanities and market them as easy pets to unsuspecting shoppers at state fairs, malls, and local trade shows. You should absolutely never buy sugar gliders on impulse! They are exotic animals that require special care and are not as easy to take care of as a hamster or guinea pig. Any seller who tries to convince you that they are easy to care for should be avoided. Any seller that cares more about making a sale than the welfare of the glider is clearly not trustworthy. The sad truth is that most of the sugar gliders that are bought on impusle end up being abandoned and wind up in sugar glider rescues. Shopping at these sorts of places just supports the mills, so that is why it is much better to go to a local breeder or rescue. Another place that should be avoided is an exotic pet store. There are some responsible pet stores out there, so this doesn’t apply across the board. However, as a general rule, pet stores are not good environments for sugar gliders. Sugar gliders get stressed easily in pet stores and it can take them a lot longer to adjust to their new environment once you bring them home. They usually aren’t handled much since they are nocturnal and pet stores are usually closed when they are up and active. This might make it harder to bond with your glider. Gliders who are used to being handled by humans from a young age are usually easier to bond with. Wherever you decide to get your sugar gliders, ask the seller a lot of questions to make sure they actually know their stuff. Finding a seller who takes good care of their gliders is really important, because you don’t want to end up taking a sick glider home and getting stuck with a bunch of vet bills right off the bat. You also don’t want to support sellers who don’t take care of their gliders. 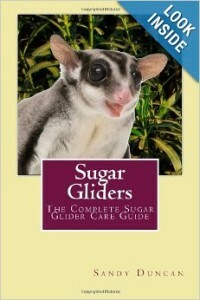 This entry was posted in Buying Sugar Gliders by Sandy Duncan. Bookmark the permalink. Hi.. can i know where can i get this pet? I’m in Alabama i want to see where the close place for me to get a sugar glider i have owned them before but had to sale them and i miss them i want another one but not sure where to get one ..
My husband chose Thelma and Louise as our first geirlds’ names, then I named our little boy Panky, we are about to get our fourth glider in 5 weeks or so and the husband has named him Buddy (stretched out to sound like Budddddy).